It’s always better to have been born lucky than to have been born smart. That’s just my opinion, but the evidence is all around us. Take for example, Unfunded Pension Liabilities. You could have worked most of your life for a Private Company that didn’t put enough money into their pension scheme to actually pay your pension when the time came. This story has an Unhappy ending. Or you could have worked most of your life for a Municipality that never even had the money to pay your pension in the first place no matter what they claimed. This story has an as yet Undetermined ending. Or you could have worked most of your life for a small Scottish distillery with god knows what kind of pension scheme, that got bought out by a huge multi-national corporation who for sure was not funding anyone’s pension scheme. But this story has a Lucky ending. An ending so good, we can drink to it. Said multinational corporation is Diageo, the world’s largest beer, wine and spirits company. Diageo, the maker of Johnnie Walker whiskey, found an innovative way to plug a gaping deficit in its pension plan: put aside 2 million barrels of maturing whiskey from its distilleries in Scotland. Diageo said Thursday it would transfer ownership of £430 million, or $645 million, worth of whiskey to a pension funding partnership. Diageo employees would not receive their pensions in whiskey rather than cash, but the move does give them a guarantee that they would not walk away empty-handed should the company default. I’d call that an unqualified Lucky Ending. 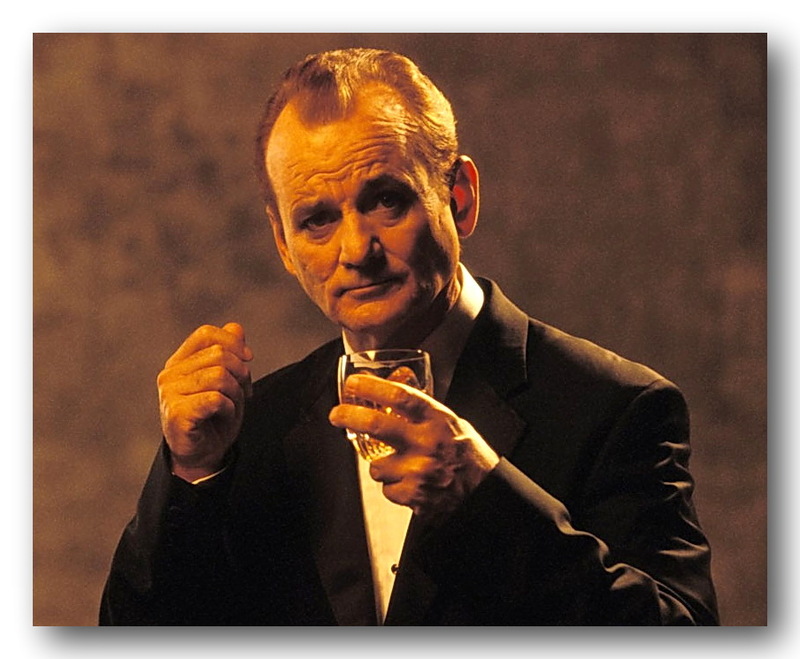 By the way, that picture of Bill Murray is from Lost In Translation, one of our all time favorite films. Five Stars at least, and Bill Murray should have gotten Best Actor for his role as Bob Harris, an actor in Japan for a week doing whisky commercials. For retiring times, make it Diageo time.